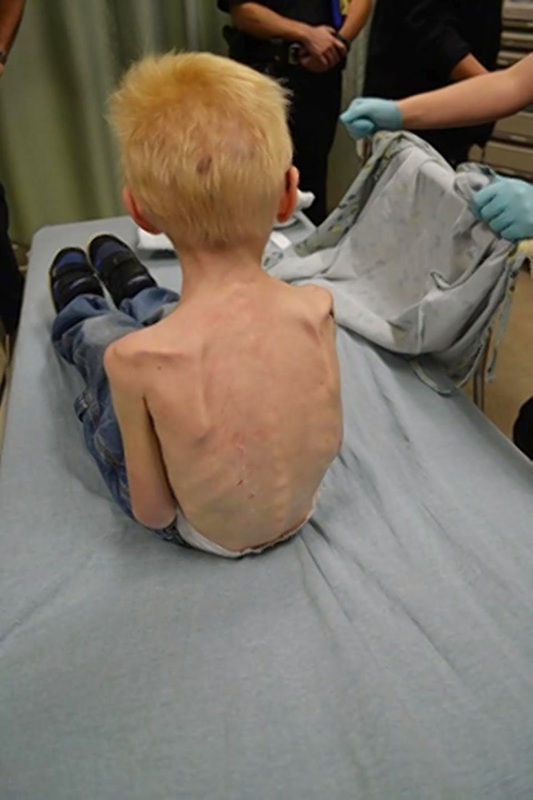 Some people should be sterilized, should never be allowed near children or to have them and this story is about two such monsters, who starved their 5 Yr old child, locked him in a closet with just a mattress. 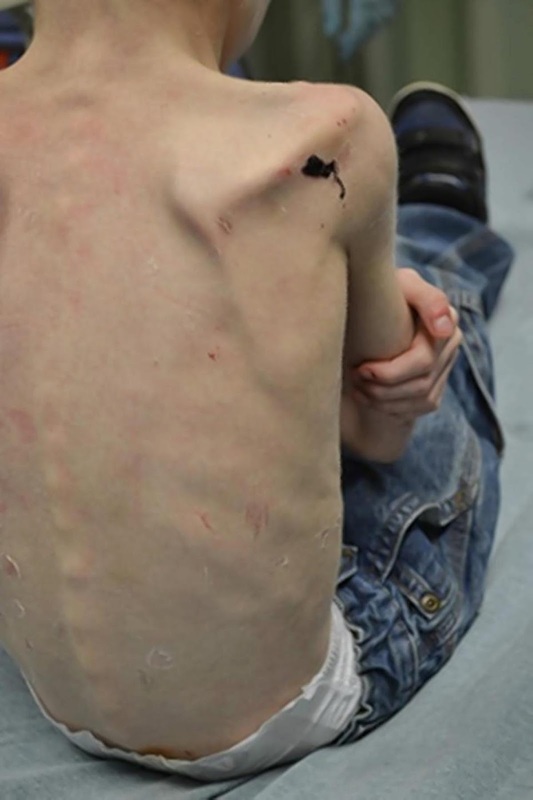 When police found him and documented his injuries, his bones could be seen sticking out from under his skin, severely malnourished, with skin peeling off his back. Police discovered a locked closet with a mattress after being called to a home following a disturbance last Thursday between Bradley Bleimeyer, 24, and his 16-year-old stepson. 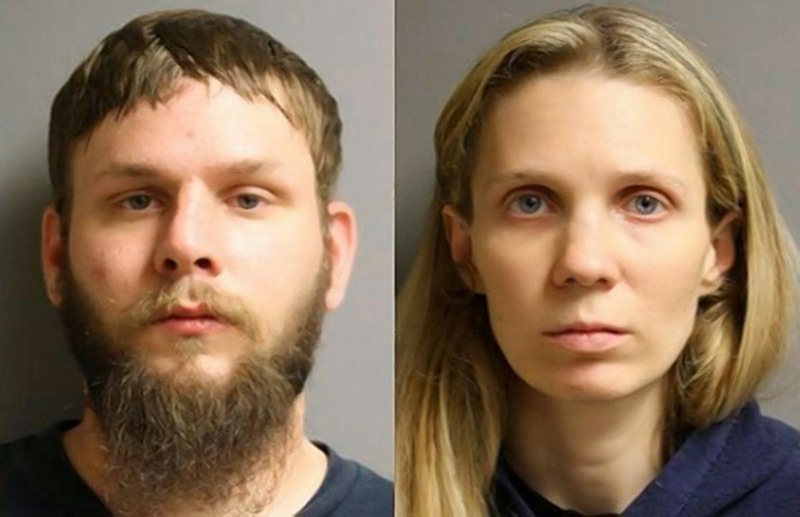 The teenager had allegedly objected to his younger stepbrother being kept under the stairs at the home in Spring, Harris County, Texas. The pregnant step-mother had fled with the child but police tracked them down to a hotel room and the child is now in the hospital being treated. The step-mother, Tammi Bleimeyer, was released on bail and the father, Bradley Bleimeyer, is being held without bond because he was already out on bail for burglary. Tammi Bleimeyer, who is pregnant and has five children, including the 16-year-old, was released on a $2,000 bond, the station reported. $2,000???? That’s it? There is something seriously wrong with allowing this woman back onto the street at all, IMO. WARNING- The images of the child shown in the video below are very disturbing.